The Musichaus series is the perfect integration of storage and technology for your bathroom. This never before seen technology provides you with a completely new experience while getting ready for your day. Equipped with USB, SD card and Bluetooth capabilities, a FM radio, two built-in speakers, an electrical outlet, defogger, and a blue lit LED power button with a dimmer, this cabinet really has it all. 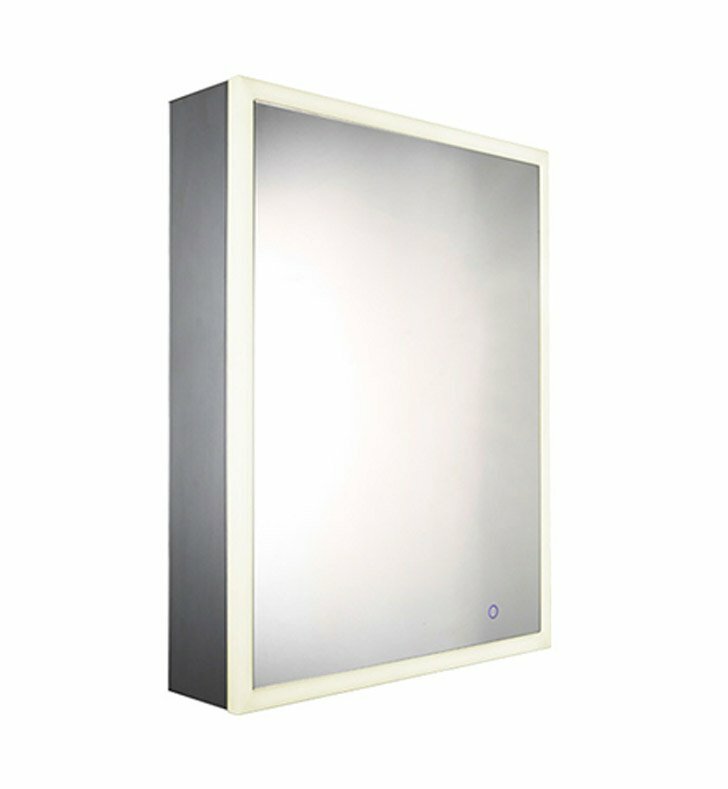 The single door WHLUN7055-OR is made of anodized aluminum, which has numerous benefits. 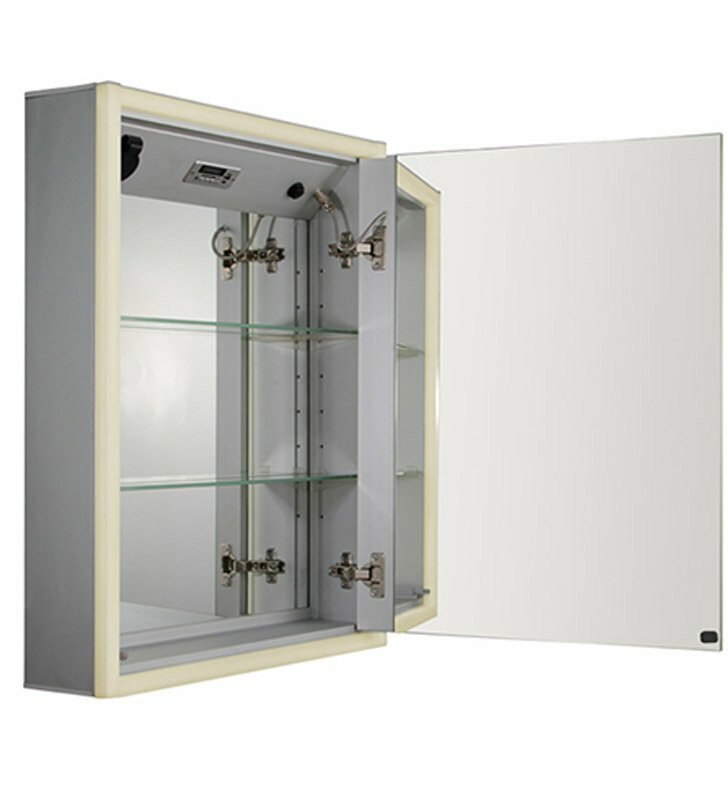 Anodized aluminum is easy to clean, will never chip or peel and is noncorrosive.This top of the line medicine cabinet will create a focal point in your bathroom while offering functional luxury of roomy storage. Dimensions: W 23-5/8" x H 27-1/2" x D 5"